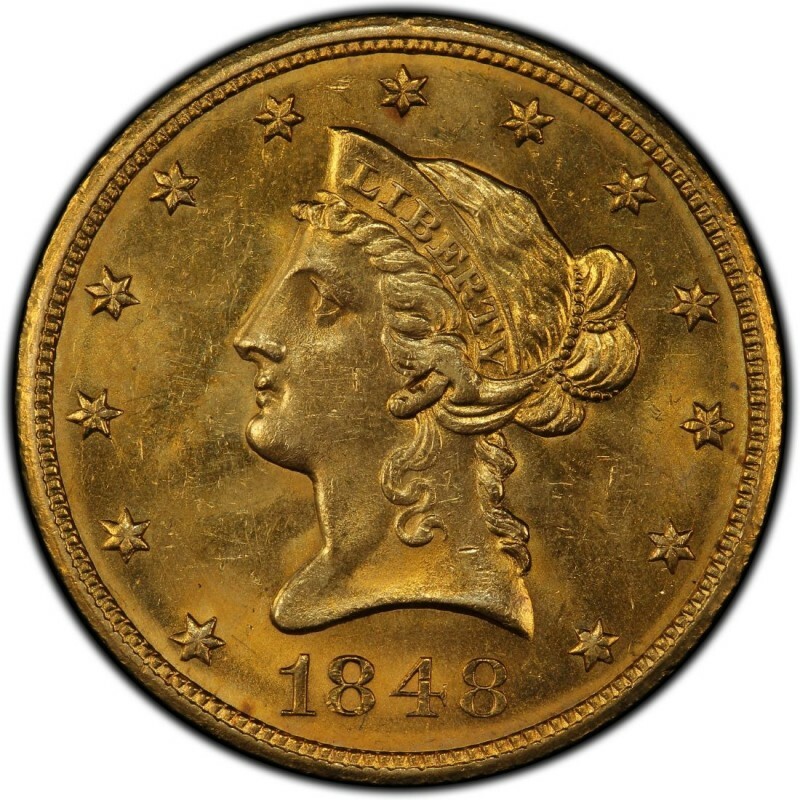 1848 Liberty Head $10 gold coins contain 0.4806 ounces of gold and are difficult for coin collectors to locate since they were made relatively small numbers and many of those coins were melted down or have been lost due to heavy circulation. Christian Gobrecht, who served as the third Chief Engraver of the United States Mint, designed 1848 Liberty Head $10 gold eagles, which were first made a decade earlier in 1838. Gobrecht also designed Seated Liberty coinage, which was made generally from the late 1830s through early 1890s. While the mintages listed above might appear somewhat ample to supply coin collectors with enough 1848 $10 gold coins to meet demand, there actually are far fewer pieces in existence today than were originally minted. This is quite a common scenario with many pre-1933 U.S. gold coins. 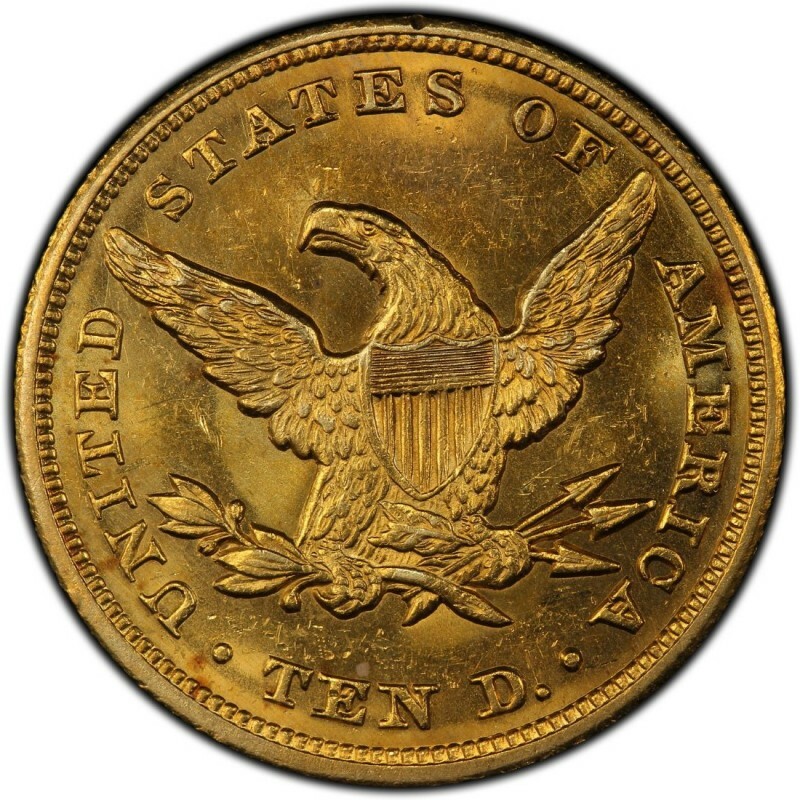 Given the overall scarceness and value of pre-1933 U.S. gold coins, such as 1848 $10 eagles, it’s recommended that they are bought certified from reputable third-party coin grading firms or, if purchased “raw,” from trusted coin dealers or bullion distributors. 1848 $10 EAGLE GOLD NGC AU 55 RARE 145 K LOW MINTAGE COIN RARE IN AU 55! 1848 Eagle, $10 Gold Liberty, Better Date Choice AU++ Piece, ** Free Shipping!